It was a quick day of poker here in the Amazon room, as the final seven players returned for Event #13: $10,000 No-Limit 2-7 Draw Lowball Championship. After about five hours of play, it was start-of-day chip leader Paul Volpe who came out on top, besting Daniel Negreanu during heads up play and denying KidPoker his seventh World Series of Poker bracelet. Volpe, the only player at the final table without a bracelet, earned his first today as well as $253,524 in first-place prize money. The first elimination of the day came quickly, as Abe Mosseri fell at the hands of 2012 WSOP $1,500 No-Limit 2-7 Draw Lowball champion Larry Wright. A short-stacked Mosseri three-bet shipped over an open from Volpe. Wright called the all in and Volpe ditched his hand. Both players stood pat and Mosseri rolled over . It was no good, however, as Wright woke up with a ninety-eight and scored the elimination. Mosseri collected $27,633 for his seventh place finish. Two orbits later, Volpe opened with a min-raise to 24,000 and John Monnette three-bet shipped all in for his last 116,000. Jason Mercier called from the button and it came back around to Volpe who folded. Both players stood pat and Monnette rolled over a ninety-eight low. Mercier had him beat, though, with a and just like that Monnette's run had come to an end. He picked up a cash worth $35,549 and exited the tournament in sixth place. Wright, who has cashed in this event three years in a row, was the next to fall. Wright was the short-stack during five-handed play and could not improve against Volpe during an all in confrontation. 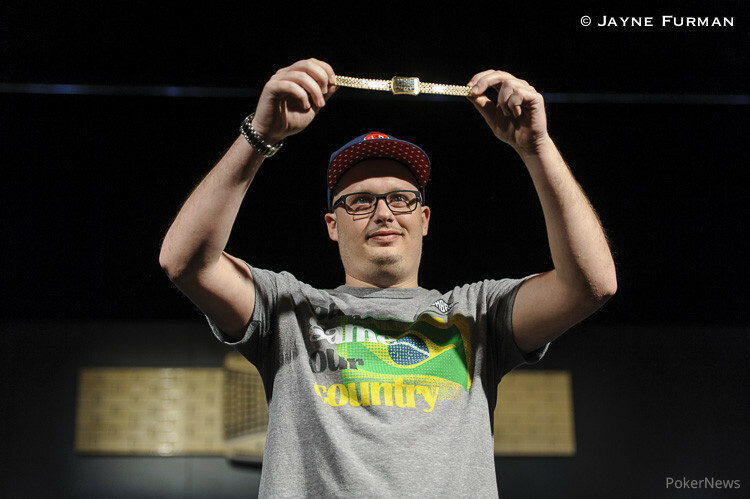 For his third consecutive cash in this championship event, Wright pocketed $47,792. Following Wright out of the door was two-time WSOP bracelet winner Brian Rast. On hand #55 of the final table, Rast moved all in from under the gun and found a call from Negreanu in the big blind. Negreanu pulled one card and Rast stood pat with a queen-nine. Negreanu was drawing to a ten-six and made it when he pulled a . Rast was eliminated from play and took home $67,264. Mercier began three-handed play as the chip leader, but some key confrontations with Volpe led to him being the next player to hit the rail. 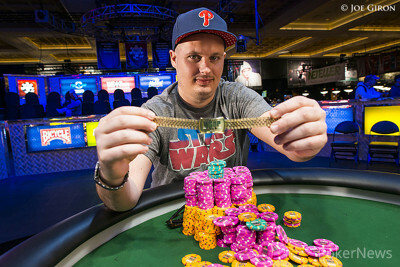 In one particular hand, Volpe made number-three against the two-time bracelet winner to win a solid chunk of chips. Ultimately, Mercier got the last of his chips in against Volpe while both players drew one card. Both held eighty-seven draws with Mercier's being the slightly better draw. Volpe rolled his card over first, showing a to make his eighty-seven. Unfortunately for Mercier, he also pulled a giving him a pair and the second-best hand. Mercier had to settle for a third place finish and $99,313 in prize money. Volpe began heads up play with a strong lead over Negreanu and KidPoker was never quite able to gain any footing. Volpe never relinquished his chip lead over the 85-hand heads up match. The match finally came to a head when a short-stacked Negreanu called all in for his tournament life of 245,000 after Volpe shipped from the button. Both players drew one card and Volpe made his jack-ten. 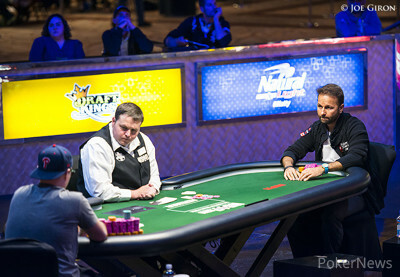 Negreanu was drawing live with , but pulled a to seal his fate as the runner-up finisher. He won $156,674 for his runner-up finish. That does it for our coverage of Event #13! Be sure to check out our Live Reporting page for all of the latest from the other events at the 2014 World Series of Poker. Goodnight! Daniel Negreanu Eliminated in 2nd Place ($156,674); Paul Volpe Wins! Hand #205: Volpe moved all in from the button for about 245,000 effective. "I have four good ones," said Negreanu with a chuckle. He waited a moment. "I'll call." Both players took one card and their hands were turned on their backs. Volpe rolled his card over immediately, showing a and making his jack-ten. 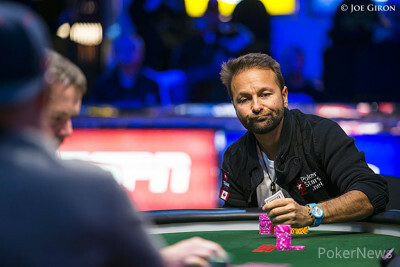 Negreanu squeezed his card while supporters all over the ESPN stage shouted for low cards. "Four!" yelled another, prompting a double-take from Negreanu. "No, not a four!" replied Negreanu with a laugh. The crowd burst into laughter as well and Negreanu went back to squeezing out his card. "It's paint," he said, flinging a on the table. Negreanu was eliminated from play as the runner-up and Volpe was awarded his first WSOP gold bracelet! Hand #200: Daniel Negreanu raised to 60,000 from the button and Paul Volpe three-bet shipped all in. Negreanu folded. Hand #201: Volpe opened to 60,000 and took it down pre-draw. Hand #202: Negreanu raised to 60,000 and Volpe folded before the draw. Hand #203: Volpe popped it up to 60,000 and Negreanu called. KidPoker took two cards while Volpe opted for just one. Negreanu checked and Volpe moved out 110,000. "It's one of those, again," said Negreanu as he leaned back and scratched his head. He ultimately flung out a call but mucked his cards when Volpe fanned . Negreanu is down to just 270,000 in chips. Hand #204: Volpe received a walk. There are internet connectivity issues at the Rio currently which may delay updates. Hand #194: Negreanu raised to 60,000 and Volpe called. Volpe picked up one new card and Negreanu stood pat. Volpe checked and Negreanu slid 115,000 forward. Volpe folded and Negreanu picked up the pot. Hand #195: Volpe raised to 60,000 from the button and Negreanu came over the top with a three-bet to 175,000. Volpe laid his hand down and Negreanu picked up the pot. Hand #196: Volpe received a walk in the big blind. Hand #197: Volpe raised to 60,000 from the button and Negreanu called. KidPoker picked up one new card and Volpe took three. Negreanu checked and Volpe slid out 200,000. Negreanu let it go and Volpe picked up the pot. Hand #198: Negreanu opened to 60,000 from the button and Volpe folded. Hand #199: Volpe opened to 60,000 and took down the pot. Hand #179: Paul Volpe raised to 65,000 from the button and Daniel Negreanu pushed out a call. Both players took one new card at the draw. Negreanu checked and Volpe dropped out 110,000. Negreanu kicked it in and Volpe picked up the pot. Hand #180: Negreanu raised his button and Volpe folded his hand. Hand #181: Volpe raised to 65,000 and took it down pre-draw. Hand #182: Negreanu raised to 70,000 from the button and Volpe folded. Hand #183: Volpe took it down with a pre-draw raise to 65,000. Hand #184: Negreanu opened to 70,000 and Volpe moved all in over the top. Negreanu folded and Volpe took down the pot. Hand #185: Volpe raised to 60,000 from the button and Negreanu folded. Hand #177: Paul Volpe raised to 61,000 from the button and Daniel Negreanu folded from the big blind. Hand #178: Negreanu opened his button and Volpe folded his hand.